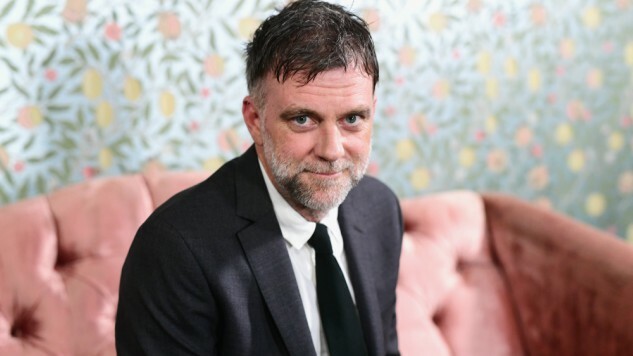 Paul Thomas Anderson is one of the most exceptional auteurs working in cinema today. His films expand the mind and offer brilliant glimpses at raw truth and vulnerability, yielding some delightful comic undertones. His works include Punch Drunk Love with Adam Sandler, Boogie Nights with Mark Wahlberg, There Will Be Blood with Daniel Day-Lewis, The Master and Inherent Vice, both with Joaquin Phoenix, and, of course, his most recent Phantom Thread. He’s received eight Academy Award nominations total in categories including directing, writing and producing. Phantom Thread is nominated for six Academy Awards this year, including a directing nod for Anderson. Imagine having the chance to learn from a director of that caliber as a young, aspiring filmmaker. Well, some lucky kids got exactly that chance at the Santa Barbara International Film Festival this week, as Anderson stopped by and spoke to two young middle-school students hoping for an interview. As shown in the video below, he approaches the two students, Eyana and Charlie, and asks, “Are you doing interviews?” to which they respond with a fervent and surprised “Yes, we are.” Then, in a charmingly awkward spirit, Anderson says, “Do you want to talk with me?” Of course the two students said yes, because who wouldn’t if Paul Thomas Anderson was offering? They exchange some very sweet words about Phantom Thread when the Oscar-nominated director tells the two girls to “work with your friends,” explaining how he and Day-Lewis discovered the film’s strange love story together. On making films, he proceeds to mention this “need” to do it and that it is “very important” for him to do so. He also acknowledges his blessings in being able to make money doing something he loves to do, which allows him to continue creating and making films. This is not the first time that Anderson has offered a friendly and illuminating dialogue between fans. He recently answered several questions via Phantom Thread’s Twitter page in a delightful Q&A session hashtagged #AskPTA. Please enjoy Anderson’s delightful interview with the Santa Barbara Middle School Teen Press below.